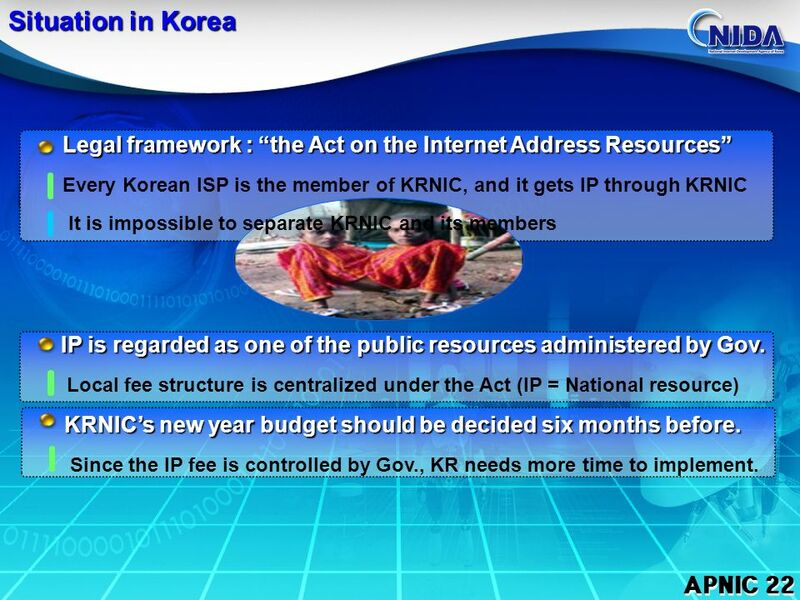 5 APNIC 22 Situation in Korea Legal framework : the Act on the Internet Address Resources Every Korean ISP is the member of KRNIC, and it gets IP through KRNIC It is impossible to separate KRNIC and its members IP is regarded as one of the public resources administered by Gov. 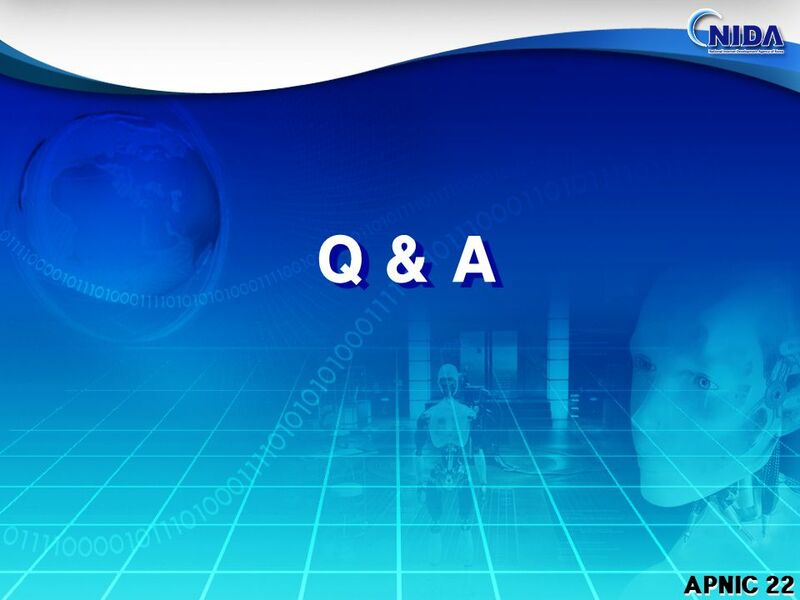 Local fee structure is centralized under the Act (IP = National resource) KRNICs new year budget should be decided six months before. 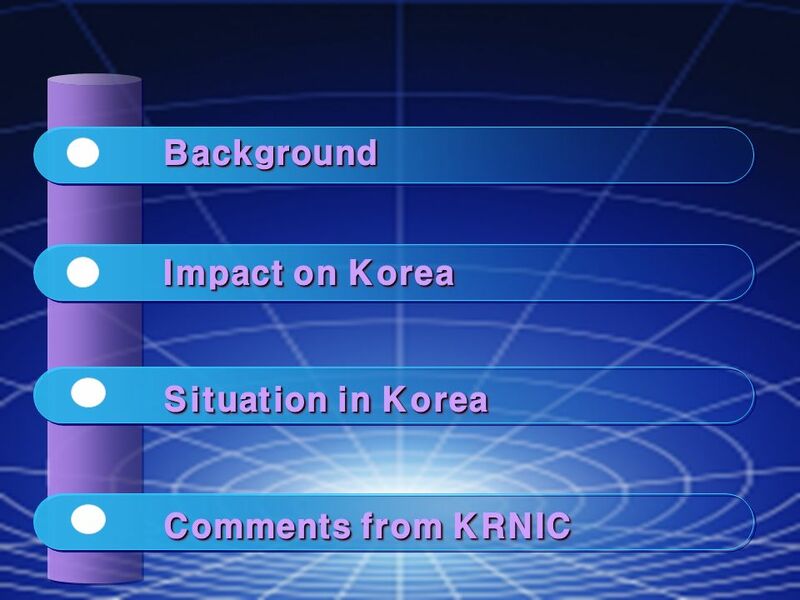 Since the IP fee is controlled by Gov., KR needs more time to implement. 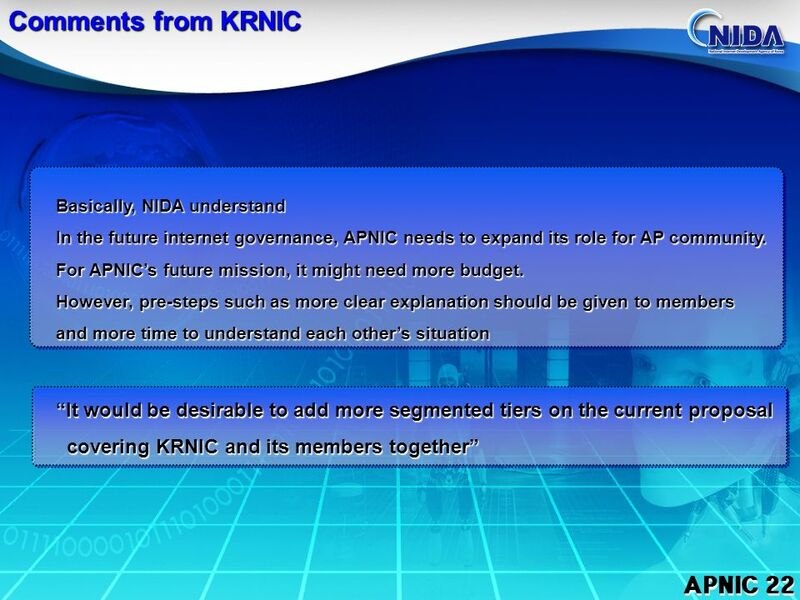 Download ppt "APNIC 22 KRNIC of NIDA APNIC Membership Fees - KRNIC Review & Comments - APNIC Membership Fees - KRNIC Review & Comments -"
Copyright (c) 2001 Japan Network Information Center Introducing Changes in JPNIC Structure Izumi Okutani IP Address Section Japan Network Information Center. 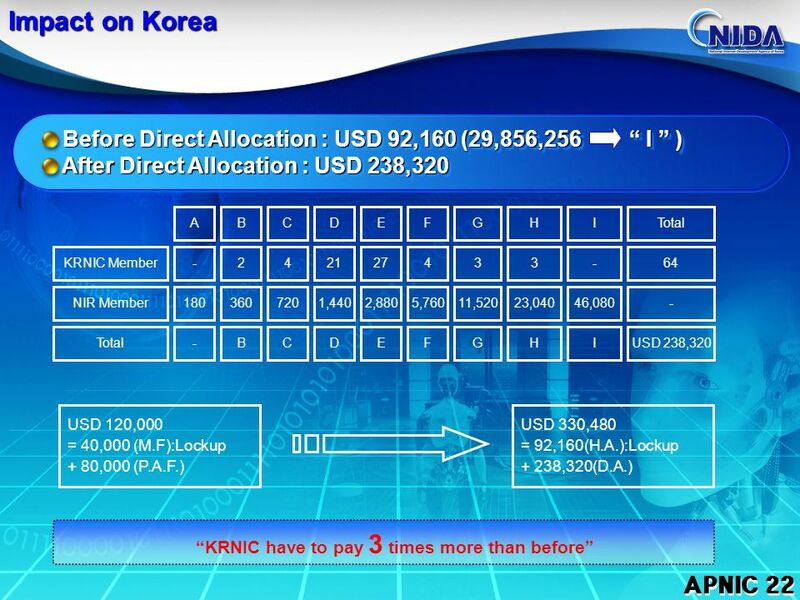 1 Discussions paper on the proposed revision of APNIC fee structure Toshiyuki NIR SIG / APNIC 22 Kaohsiung, Taiwan.